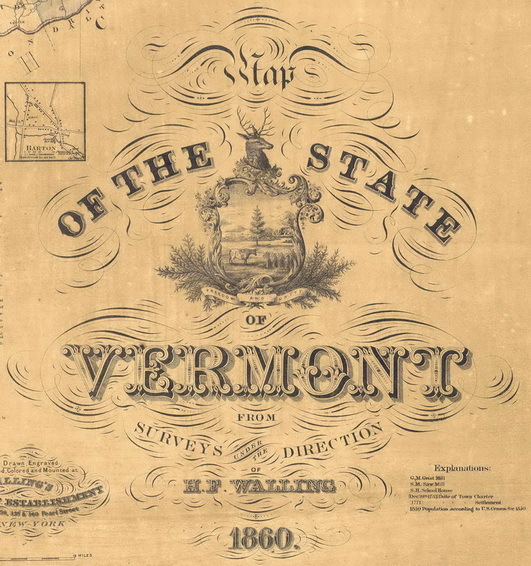 This 1860 State map by Henry Walling shows every road and house in Vermont at the time. 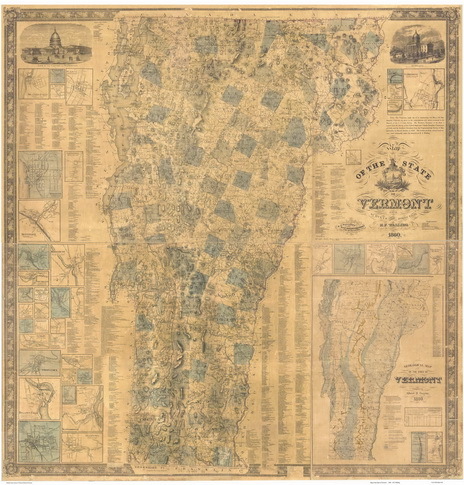 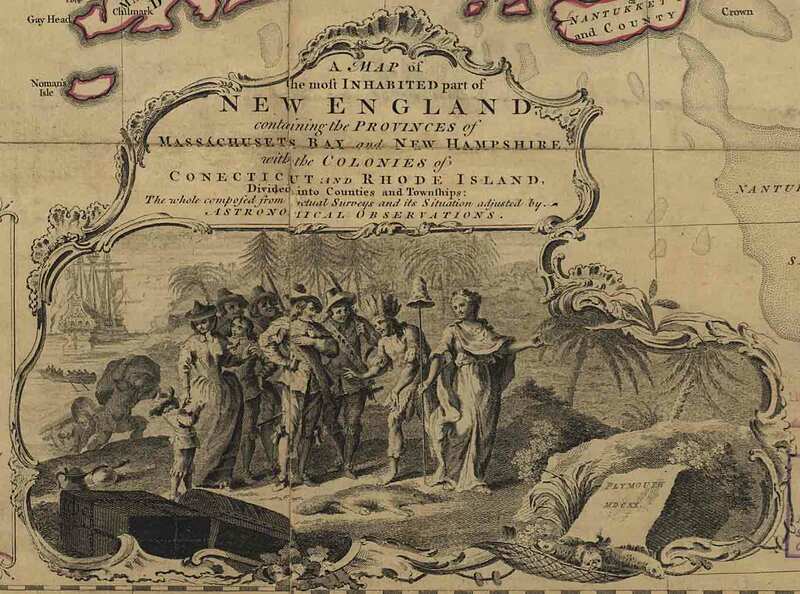 Walling was one of the most prolific map-makers of the time, considered by many to be the largest contributor to the growth of the retail map industry in the mid-19th century. 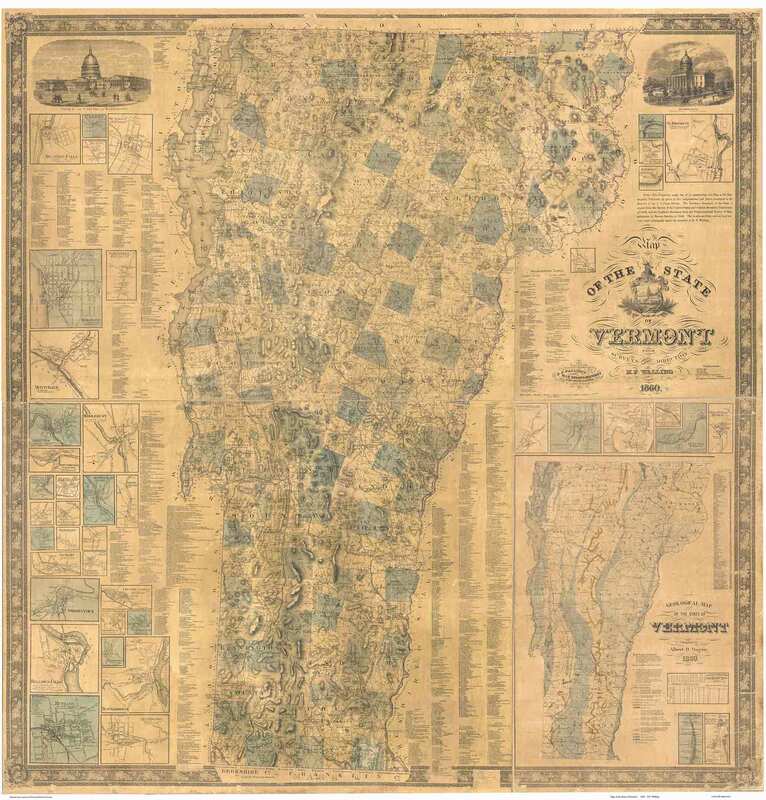 Original size: 61" x 63"